I want to introduce you to this fantastic Christian, Wife, Mother, Homeschool Teacher, Bible Study Writer/Instructor, Blog-Site Designer,Writer, Author of numerous blogs, and the list goes on . . . and the list goes on. . . Welcome to Joy's Joy~Ful Journaling, Patty. Thank you for having me, Joy! It's so cool to be here, visiting! And I get to talk about blogging and blog design! =) It doesn't get much better than that! Yanno, as writers we're told to blog—that every writer needs to blog. While there's much truth to that, let me say right up front that blogging is not for everyone. But in the very same breath I want to add that I think it's for more people than realize it. Why? Because of all the good a blog can do—for you personally and for others. So what good is a blog to you? It's a great way to market yourself—whether you write, speak, perform, or doodle. Blogging gets your name out there and builds name recognition. You connect with people, the ultimate goal of building a platform, which is crucial these days. It's a tool we can use—for free—which is an important feature in today's cash-strapped world. Free puts it into everyone's price range! Blogging is about being you, online, which can be scary for some people and a relief for others. How do you go about being you online? Voice—blogging helps develop your voice and allows you to try things on to see if they work for you. Personality—you can freestyle, relax and be yourself. Topic—it's okay if you don't know what you want to blog about at first, and even if you do, that's simply a guide, not a hard and fast rule—unless you make it that way, and that moves you into a niche blog rather than blogging toward your purpose. Perspective—blogging allows you to give your perspective on things and life in general. Site design—this is my fave. Your site design is your online representation. It's what people see when they visit you, before they even read your words. I have to admit, there are some sites I can't get to the content, which I know is good, because the site is awful. So why should more writers should be blogging? Because as we write authentically and transparently, God will shine through us. We can let God flow through us so others can see God working in our lives and the difference He makes in us. God uses each individual voice, personality, perspective and style to reach different people. Blogging is so much more than I thought! And I'm so thankful. I began writing and posting all those little things that flittered through my brain—things that I always wanted to write, but didn't see any reason to—things like the mini devotional thoughts that seem to body-slam me all the time. Like the lesson I learned from seeing ducks swimming in a mud puddle rather than the nice pond that was half-a-mile away. Blogging opened up a whole new world of possibilities and opportunities that I didn't even know existed. One thing led to another and before I really knew what I was doing, I had a good start on a platform, with blog followers and as a monthly contributor for a few women's devotional sites. Since I hope to someday have a book on the shelves, building a platform is a very good thing, especially in the eyes of agents and editors. But even if I never have a book published, I still have the satisfaction of knowing I'm obeying God and writing and connecting with people. The results are up to Him, I'm responsible for my obedience and doing the best job I can. Through the learning curve of setting up my blog and helping friends set up theirs, I discovered something cool. I learned that I dearly love helping people build their blog and their platform. Making sites that reflect their owner is something I really enjoy doing, and I do everything from setting up blogs and websites to giving them make-overs to doing accessories like buttons and siggies. But even more than designing, I love teaching others to work on their own sites—after all, you know what you like and the image you want to portray better than anyone else. To do that, I have an online class, tutoring, as well as webinar workshops. You can find out more in the Blog Design, Premade, and Workshops tabs on my site. Thanks so much for having me, Joy! Some others have stopped by to add to your post today. The Joy has been all mine! Last year, I was the recipient of a free CLEARING THE BLOG FOG Class instructed by Patty Wysong, and what an awesome class that was! Three times a week, Patty posted on-line lessons, and we “groupies” interacted online as we did our homework. We learned how to set up a blog, and then had to actually start a blog! Patty has the patience of a saint, and was willing to respond to all of our questions. Patty made it fun, and when the course was over, we experienced withdrawals. But Patty stayed with us; encouraging, answering questions, problem solving, whatever was needed to build our blogs. I’ve kept my blog, yet posted less and less each month. My aspiration to write has fizzled and I’ve had nothing to talk about. That is, until a couple of weeks ago, when Patty started up the blog ‘meme’ “From A 2 Z”. Patty admitted to being ‘of a desert mind’ and challenged folks to write a weekly blog using the alphabet. Suddenly, ideas are abundant, and I’m having fun writing stories for my blog. Patty has a multitude of projects she is working on, yet she is always there to encourage and teach others. Thank you, Patty, for reaching out for help, and in turn, you are helping others to express themselves. You are an awesome lady and a blessing from God! Peej makes me think of Mary Poppins, and I would love a peek inside her carpetbag, Peej’s bag that is. Her daughter, Esther, is among my facebook friends. It didn’t take much interaction with Esther to realize what a hands-on and caring mother she has. Five children and Peej makes being a terrific mom seem as simple as curling up with a favorite book. Thanks to Peej, I now have a blog. As a teacher, she is both patient and caring. Her classes are creative, fun and spunky. Unless you don’t like the idea of riding brooms to visit the other class members, oh my, she had Sunny (another class member) in stitches. Not only did I finish her blog workshop with a brand new blog, I finished it with fond memories tht still cause me to giggle, now and then. I adore Peej’s mothering style. As a teacher she is amazing. But more than both of these, it is her love for God that touches my heart. It shows in the articles she writes, it shows in the kind of friend she is, and it shows in the way she allows Him to lead and guide her life. A couple of examples are the ‘JEWELS OF ENCOURAGEMENT’ blog. At ‘JoE’, Peej created a place where we can go and receive encouragement, get a fresh perspective on life, or put a spark of hope in our day. Then there is the ‘A2Z4U & ME” meme, which is going into its third week now. How fun to see what each person comes up with. Thanks to Peej, I am posting to blogs and loving it. Yeah, I sure would like a look inside Peej’s carpetbag. Not only does she put fun and sizzle into all she does, she does it with elegance, grace and flare! Love you, Peej. Your friendship blesses me in so many ways. You’ve given me so much. I signed up for the CLEARING THE BLOG FOG Course last year hoping to learn what a blog is and how to put one together. I had no clue what those twelve (now sixteen) lessons would do for me. Thank you for opening a whole new venture for me. I have a blog, posting fresh words each week, interviews/features of other authors, tributes to those who’ve done so much for us in so many ways, sharing my feelings, my life with those who’ve become followers/readers and allowed me into their computers via cyber-space every Tuesday. Patty became my instructor first, then she became a mentor but oh, my, it didn’t take very many days on that CTBF loop to find I was making some wonderful friends – hosted by Patty, of course. So generous in her question answering, the time she took/takes for me whenever I cry, ‘HELP, PATTY’ and the ability she has to make me feel even I can blog. 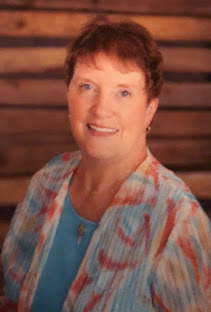 Patty, you’ve been a teacher, friend, encourager, hand-holder, mentor, excellent example of the Proverbs 31 woman, and above all those, you’ve been such a lover of the God who created us both that I cannot help but be reminded of Him when ever I am in your presence (cyberlly of course). Thank you, for being you, Patty, and know this – you have an open door to my blog -anytime for any reason. I thank God upon every remembrance of you, Patty. May He bless you abundantly above all that you can ask or think. I love you, Patty-page, and I am so glad God connected us just a year ago! I absolutely enjoyed taking Patty Wysong's Clearing the Blog Fog class - in fact I saved all the lessons in my email, so that if I ever decide to change my blog, I can refer back to them. There were places I got stuck, but Patty was so gracious in offering her assistance. I never once felt stupid for asking a question. I learned so much taking this class, although I know that if I ever wanted to change my blog, I would definitely have to refer to my emails for some aspects! Funny thing, on one part of it, I don't know HOW I got it to work... because I'm not sure I followed the steps exactly, but I'm glad I got it to work! Heehee. "I first met Patty when I asked people on the ACFW Loop to tell me how long a blog posting should be. Since I'm returning to writing doing mainly non-profit organizational work and going to grad school, this blogging thing is all new to me, and I wanted to do it right! Patty was one of the people who replied, and at the same time, immediately invited me to join her "a 2 z 4 u & me" meme. She then answered endless "how-to" questions to help me launch my fledging "baby" blog, and her patience, enthusiasm and encouragement are what gave me the courage to take the plunge. There's so much to learn, and I then decided to take the blog class from Patty. She's a fantastic teacher and a wonderful cheerleader--one of those people you feel you've known for years just after meeting her!" Don't forget the Give-Away - Did you see that? What a choice in prizes Patty is offering! Oh wow, Joy!! Thank you for that surprise!! Thank you to EACH of you!! You’ve blown me away with your love and kind words! God blessed me greatly when He sent you guys into my life. Huge hugs to each of you!! I do love teaching that class. It’s sooooo much fun—but the people who take it are the one that make it that way. I’m looking forward to a fun here, too, Joy! Thanks for having me!! Hugs! Joy, what a blessing Patty has been to you, me, and so many others! God bless you both. I meant to tell everyone this is one of your designs - my facelift (ok, the blog facelift) has only been up since last week - just in time for your presentation. Thank you for such a great job, Patty! Joyfully anticipating the TABS for "Joy's New House of Joy"
and the page breaks - my own special ditties for page break and oh me oh my - I'm so excited! Thanks again, My Patty - page! Thank you for stopping by Joy's Joy~Ful Journaling - You are so right. Joyfully hoping to see you again soon, Kristi. Joy, thank you for sharing this wonderful tribute to a beautiful lady! Love you, Peej!! Hugs to you, Joy! Joy, thanks for giving Patty's wonderful work the exposure it so deserves! I'm having SO much fun in the class so far, and hope others will come to Patty to take the plunge into blogging! Thanks, you two - I'm hoping to get the word out for Patty. She's given so much to this blog and to my experience in blogging. Thanks for coming by too. Keep cool today - it's a scorcher at our place today (yesterday was a pre-scorcher). A day late as usual for me...anyway Patty, I like your designs and am loving the a2z meme which has snapped me out of my blog fog. Oh wow, Joy! I am SOOOO impressed with Patty's work! Your blog facelift is amazing and beautiful. And you are right, it captured you perfectly :) Patty, as one who is technology-challenged, I have always admired those who are technically savvy. You have such a gift. Thank you for sharing it! Ooops, my fingers were going faster than my brain. My above comment should have said that I admire those who are technology-savvy rather than technically savvy. lol! I'm so glad you're enjoying the a2z meme, Diana! So am I. It's kick started many posts for me now. LoL, I think it kick started ME. Penny, THANK YOU. I'm so glad you like Joy's make-over. I had so much fun working on this layout--and we'll be adding to it as we go through this month's class. It just dawned on me this morning that I missed the date of this post so I sped over here to see the action! Great job, Joy! And YAY for Patty, who is a blessing from God! Thanks so much, Susan - couldn't have done it without Patty. She's a fantastic teacher, designer, friend but more than that - a great Christian example! Your new site is so pretty! I am embarrased to have anyone look at my dreary old spot now! LOL! How can I take this course? Loved the interview with Janice! Isn't she great fun to hang out with!It wont be long before I will be interviewing YOU and YOUR NEW RELEASE!!! I have faith that September is going to bring you lots of great things! Love you!! !